The signatures were mainly collected at two events that were held in Marrickville during April and May 2018. 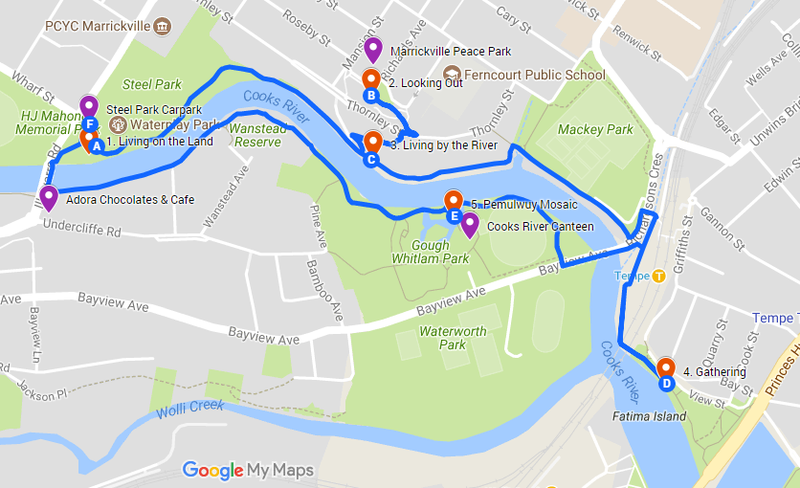 These events were the Anzac Day Reflection held on April 25, 2018 in Richardson’s Lookout – Marrickville Peace Park and the National Sorry Day Walk along the Cooks River on May 26, 2018. The covering letter attached to the petition can be accessed here. Refer to a map of the proposed trail which is included in the petition. The Inner West is home to a significant number of Aboriginal residents and important Aboriginal heritage and community sites. 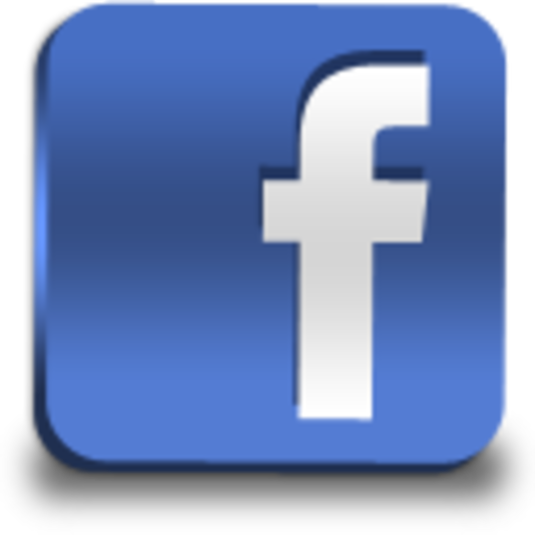 As such, the primary aim of the petition is to promote awareness and appreciation of Aboriginal art, culture and history. 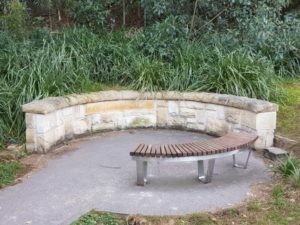 Prominent in this resistance movement was Pemulwuy who led guerrilla attacks against the settlers’ farms mainly in his own Bidjigal or Bediagal territory, which extended from Botany Bay south of the Cooks River and west along the Georges River to Salt Pan Creek, south of Bankstown. The Aboriginal Interpretive Site at Steel Park draws attention to the role that Pemulwuy played in the Frontier Wars and also acknowledges the impact of invasion and colonisation on Indigenous people. In addition, the signage at Richardson’s Outlook – Marrickville Peace Park acknowledges the Frontier Wars and also pays tribute to Aboriginal soldiers who served in WW1. The CRVA submitted the petition to the Inner West Council on 15 August 2018. Council is expected to officially respond to the petition towards the end of this year. 1. 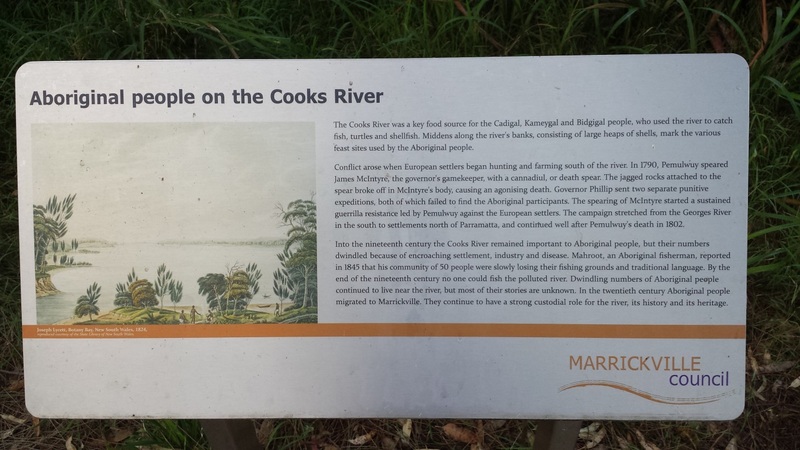 For an account of the long history of Aboriginal associations with the Cooks River catchment, refer to Paul Irish’s Aboriginal History along the Cooks River, Cooks River Alliance, May 2017. 2. Henry Reynolds, ‘Brendan Nelson and the War Memorial – what about the Frontier Wars?’, John Menadue – Pearls and Irritations, Apr 10, 2018. Also refer to Richard Flanagan’s ‘Our politics is a dreadful black comedy’, address to the National Press Club, published in The Guardian, April 18. 2018.